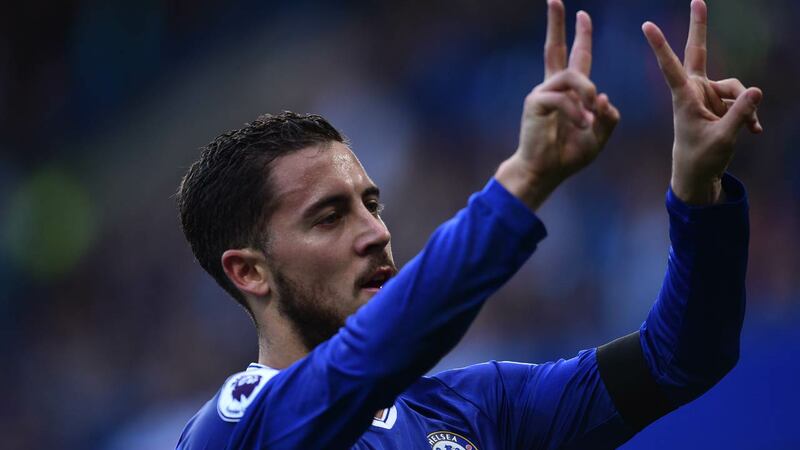 Real Madrid are to shelve plans to sign Chelsea star Eden Hazard in order to allow Marco Asensio time and opportunity to flourish. Spanish publication Marca report that Los Blancos have now ‘abandoned’ a possible move for Hazard. Members of the board at the Bernabeu are believed to rate Asensio so highly they feel a move for the Belgian would only inhibit his progress. It appeared that Hazard had been pushing for a move away from London, with his father claiming he turned down a contract offer at Stamford Bridge in order to encourage Real. The technically gifted winger starred for Chelsea in last season’s Premier League win but a move to the Spanish champions now looks unlikely. Zidane’s squad is packed full of quality with almost an embarrassment of riches but it seems there will not be a continued pursuit of Hazard, and Asensio now set for a more prominent role. The Spaniard burst onto the scene but has failed to nail down a regular starting role in Zinedine Zidane’s side this season. The 21-year-old has delivered when called upon with four goals and three assists from ten starts and nine appearances off the bench. And Asensio is expected to be given the chance to prove his worth with upcoming Copa del Rey fixtures allowing squad rotation. He will hope to get the nod from Zidane in Real’s first game of the new year on Thursday when Los Blancos visit Numancia.